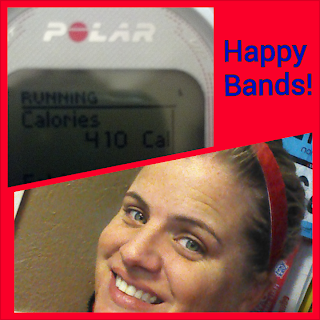 Mindy's fitness Journey: Get Happy with Happy Bands! 2 Giveaways! Get Happy with Happy Bands! When Cara and Darlena from Running Happy asked if I would be interested in reviewing and giving away one of their headbands, I couldn't resist! I am always looking for a good head band. First of all, I have to tell you how thoughtful these ladies are. I didn't choose which happy band I wanted. I told them to surprise me. THEY DID! In the best way too! Look at this sweet note that they sent me with my headbands.... (look below) That was really impressive. It showed how much they care about their customers! 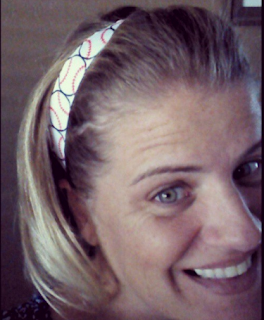 The most important thing about a headband, aside from is it cute, is WILL IT STAY PUT???? The answer is YES! Their regular Happy Band was perfect for me, but they also have a solution for people who struggle to keep the band on their head. It has an extra clip. They sent me one of those too, and IT WORKS! Those are called Super Happy Bands! Don't forget about my Limitless Bracelet Giveaway either!!! Mindy, i just love your blog!! You are a fabulous mother and lady!! OH, I shared the giveaway on my FB page. I hope I did this right : https://www.facebook.com/keri.k.rodriguez?ref=tn_tnmn . I lived in VA for a short period of time and had the chance of meeting Darlena at a race and corresponding via a local email run group. 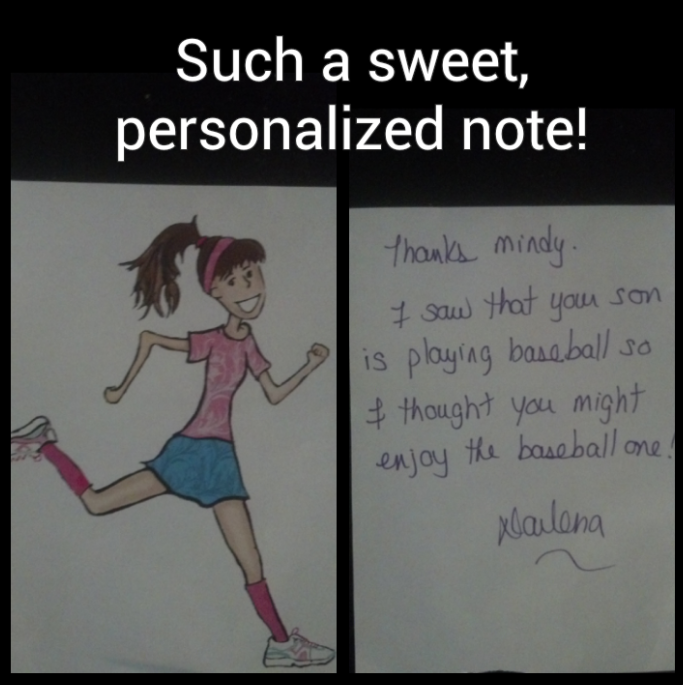 She's super sweet! I like the Growth bracelet. I LOVE winning. Would love to win-so exciting, makes my day! Love my Happy bands! I ran into and met Cara a couple of weeks ago on a trail run. These gals are great. Made me a great custom made happy band for a donut run I did. I shared on fb. would love, love love these! Happy to try these headbands providing they stay in place and don't give a person headaches.